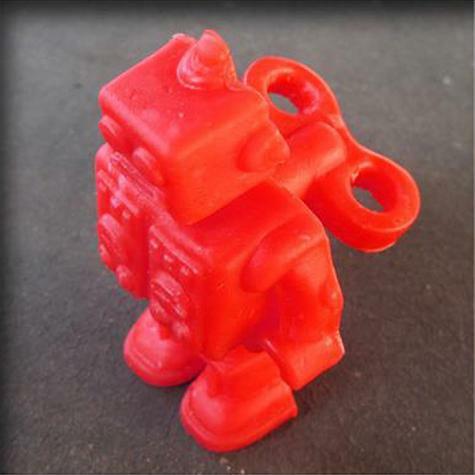 This robot was made in a silicone push mold (ice cube tray). The key was also molded and attached to the robot after by heating both pieces with a small butane torch. The silicone is a little too flexible, but the results came out OK.
Jeff reports that there was no problem with the robot sticking to the silicone mould.